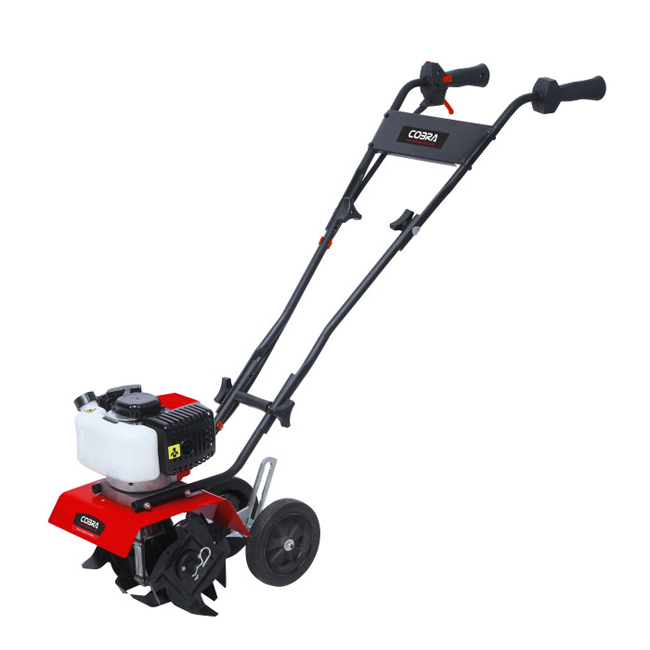 Powered by a 43cc two stroke engine, the Cobra T24C Mini Tiller is a compact, lightweight machine suitable for small gardens where a light weight, easy to manoeuvre powered cultivator is required. Working width of the two four tooth tines is 23.5cm/10 inches. Variable speed control. Fitted with retractable transport wheels. Please contact us at your preferred collection point to confirm availability.